Our first winter in Florida has been a busy one with our home renovations so to create some balance in our lives, we decided to explore our creative side and become members of the Morean Art Center where they offer a variety of classes in glass, clay, painting, jewelry, metal and photography and much, much more. What’s so wonderful about the Morean is that it offers classes for children, teens and adults for every skill level and the programs are ongoing so if you missed a course in one session it will be offered in the following session. This unique center is nothing like anything I have seen before in Canada or the US so we are fortunate to have access to these incredible artists who are willing to share their talents and expertise. In addition to our fabulous instructor, we had an amazing group of students in both classes. At our last Light Room class one of the students surprised us with a Kale Salad boxed lunch to eat after the last session or take home. 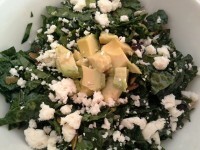 This Kale Salad was so yummy that I have to share it with you (with her permission of course). Not only does she know how to put together a delicious Kale Salad, she is also a talented and prolific photographer, calligrapher and speaker. Her website is at Debbie Friley.com and is definitely worth checking out. 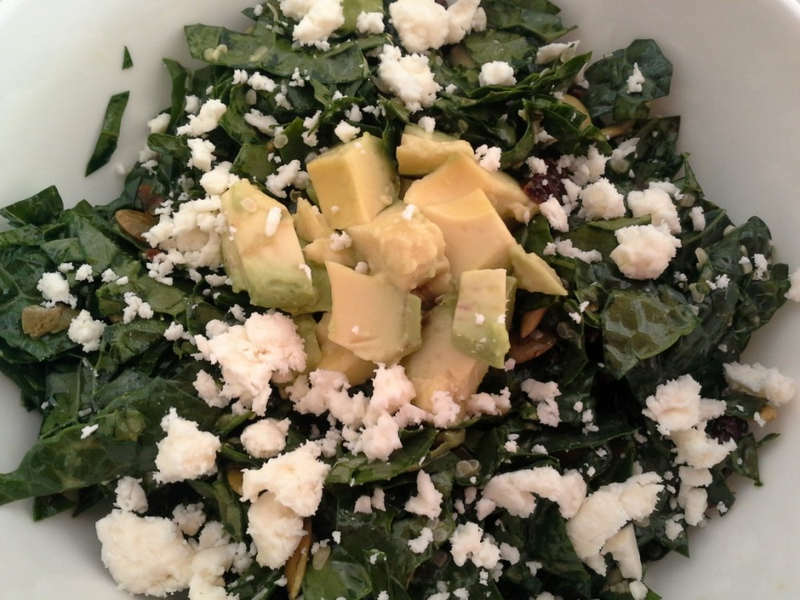 The Kale Salad Recipe with Avocado and photos are my re-creation of Debbie’s Kale Salad. Definitely a keeper. Enjoy! This versatile Kale Salad can be made ahead by messaging the lime juice, salt and olive oil into the chopped leaves. This will keep in the fridge for 2 to 3 days and soften the kale. When you are ready to serve or pack for lunch then be creative and add your favorite ingredients. Massage chopped kale with olive oil, sea salt and lime juice. This base salad will keep in the fridge for 2 to 3 days. Add the seeds, sun dried tomatoes and tart cherries to the salad and toss. Add the feta cheese and avocado when serving. This recipe is so versatile that you can substitute lime juice (which is my preference) with lemon juice and use any seeds you have handy such as sunflower seeds or chopped almonds. Also, any kind of dried fruit will work in this recipe but I like tart cherries for their gout fighting benefits.